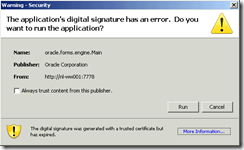 Another post on something that happened last week, this time it’s about a Java based Application again. This particular application wanted to download three DLL’s from the Webserver to the Java bin directory. If we we give the user write permissions here what happens when the DLL’s are in use by another user? I assumed that if I preinstalled the DLL’s the application wouldn’t try to overwrite them but that didn’t work. Then I monitored with Process Monitor if the Application wrote some kind of check file but at first I didn’t find anything. So I decided to use the CorrectFilePaths shim to redirect the DLL’s to the user’s homedirectory (see Using the CorrectFilePaths shim to redirect an ini file to a writable location for an explanation). Yesterday I created an Unattended Installation of a webapplication. Of course it was “just a web link” and the application vendor usually says: you don’t need to install it just go the URL and that’s it. The reality is usually that you go to the URL and need to install several (ActiveX) components and maybe other dependencies such as Java. While a user may have the permissions for this on his own pc, on a Citrix or Terminal Server environment this is highly unlikely. So we need to package and pre-install this for the users. Nothing special so far but this particular application had some special things that were interesting enough to blog about. So let’s start with what happened, I visited the URL of an application called Centric Key 2 Financien. 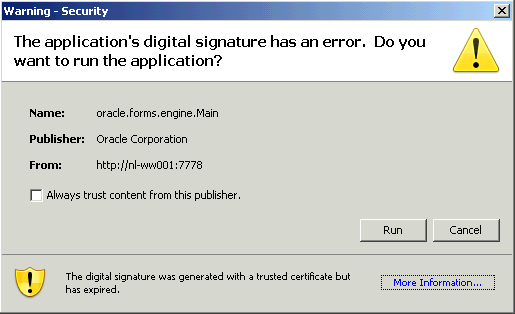 The application’s instructions say that the user must accept this and set the “Always trust content from this publisher” checkbox. 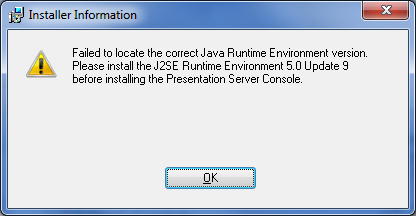 I did an unattended install of Java Jre1.6_0.22 using an mst file that puts all (auto)update properties to off. However it seems that Java simply ignores this, so usually a script runs after the install to the delete some registry keys and perform some extra configuration. If you have ever installed Citrix Presentation Server/XenApp or one of the management consoles then you have probably dealt with Java versions. Citrix is very picky about the Java version so it’s usually best to initially install the Jre version that is delivered with the product. 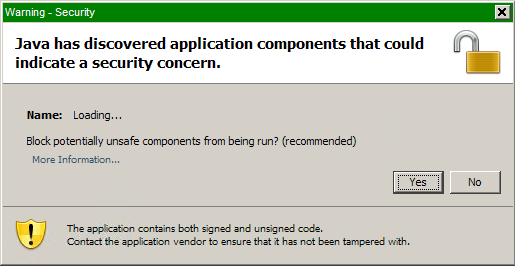 In my case however I needed to install the CMC for Xenapp 5 on Windows 2003, it requires JRE 5.0 Update 9 but this version was undesirable.